This scarf is completely inspired by the scarf that Claire wears in Season 1 of Outlander. Although there are some racy scenes that some people might've watched over and over, I replayed scenes with this scarf. I believe that what she wears is not a short cowl but a longer infinity style scarf that's doubled around her neck. I've taken my version of her scarf and have done it in different colors for people who just like the look of the style. 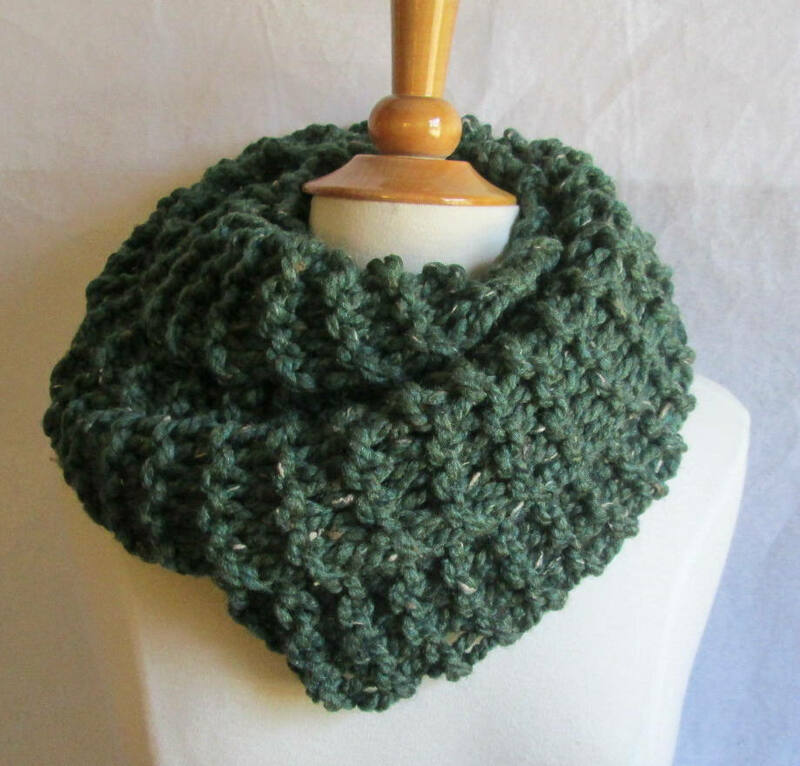 This one is done in a beautiful speckled green. Blue tones to the color with earth tone speckles. I've designed it with a twist so it's not super bulky when looped. If you wear it long, it can lay flat for full neck and chest coverage. The size allows it to be unisex in style as well. Yarn is Acrylic / Wool blend. About 68" in circumference, 6" wide. *Image of the character from the show is for example of the style of the scarf she wears only.